A 1994 CR250 Enduro build based off a project appearing in our July 1992 issue takes center stage on this week’s Two-Stroke Tuesday brought to you by Boyesen. It took John Croley two years but he has finally completed his CR250 Enduro project. 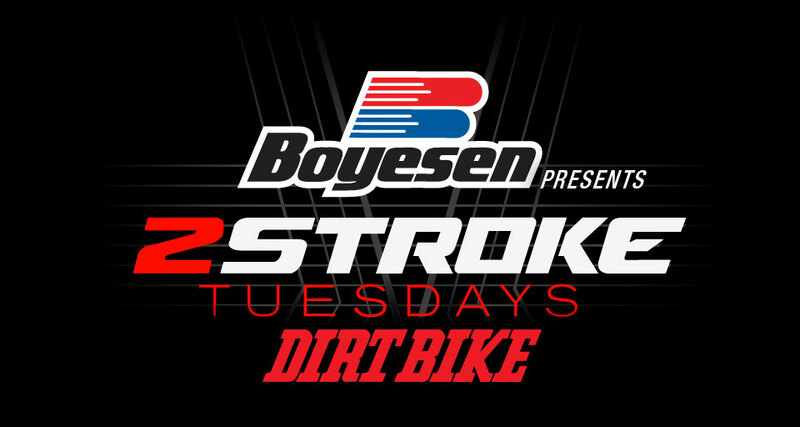 This weeks 2-Stroke Hardware section features trick items from p3 Carbon and Scalvini. As always 2-Stroke Theater has that sweet music for your ears. Kawasaki KX500 faithful you won’t want to miss the exclusive links to our Ransom KX500 build at the bottom of this post. This past weekend John Croley completed a 2-year project to build an updated version of our CR250 Enduro project featured in the July 1992 Issue. This is what it looked like when John started. This is one of the last brand new 1994 CR250 cylinders in North America and John uses a Wossner piston inside. Other aftermarket items include an IMS oversized tank (Yes it still wrinkles the stock seat) and a wider than stock TM Design Works chain guide for the RK Oring chain. The stock suspension was re-anodized, rebuilt and re-valved by Drew Smith at WER. Excel rims with Buchanan spokes and Tubliss System. Renthal 13/51 gearset, Wossner B Piston, Metzeler tires. WOW, who remembers these? It took John 15 months to find an IMS wide-ratio transmission kit in the box purchased from the original owner. We would say this build has come a long way in the last two years. All parts are new Honda OEM except when a superior aftermarket part was available. All the parts are new, except for the counter and mainshafts, the shift mechanism and Power Valve assembly. All new Honda cases, crank, head, and cylinder. It’s equipped with a Rekluse Auto Clutch with Torque Drive Plate system, clutch basket and new PWK carburetor . On Saturday the bike was only started on the stand and idled around the driveway to adjust the auto clutch but otherwise it has not been ridden as of yet! P3 Carbon has updated our popular KTM Pipe Guards for better fitment applications. This guard fits 250/300 11-16 models with stock or FMF Fatty Pipe. If you are running a stock pipe but plan to upgrade to the Gnarly, order 101064-FMF! Scalvini Two-Stroke Factory Works Pipes are hand-assembled cone-by-cone to make an exhaust that looks as good as it performs. Each cone is hand cut, pounded and welded to our stringent manufacturing guidelines. This is your opportunity to have a real works pipe and performance without the expense associated with parts of this caliber. Scalvini Two-Stroke Factory silencers are specially tuned to work in conjunction with our Scalvini Works Pipes for optimum performance. Have you seen our insane KX500 build? If not click the images below to have your mind blown away!